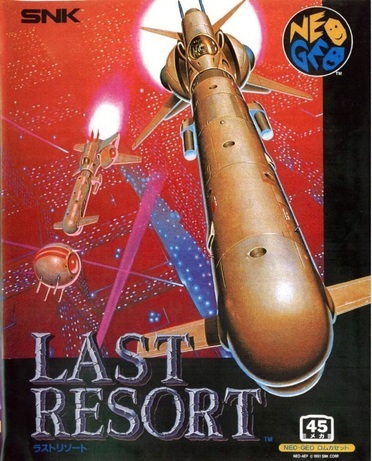 Last Resort is an arcade shoot 'em up video game by SNK released in 1992. IT was also released for the Neo-Geo and Neo Geo CD systems. Extremely difficult, its gameplay was heavily inspired by R-Type and its system of pod attached to the player's ship. Its first level remained memorable for its homage to the futuristic Neo-Tokyo depicted in the anime Akira.